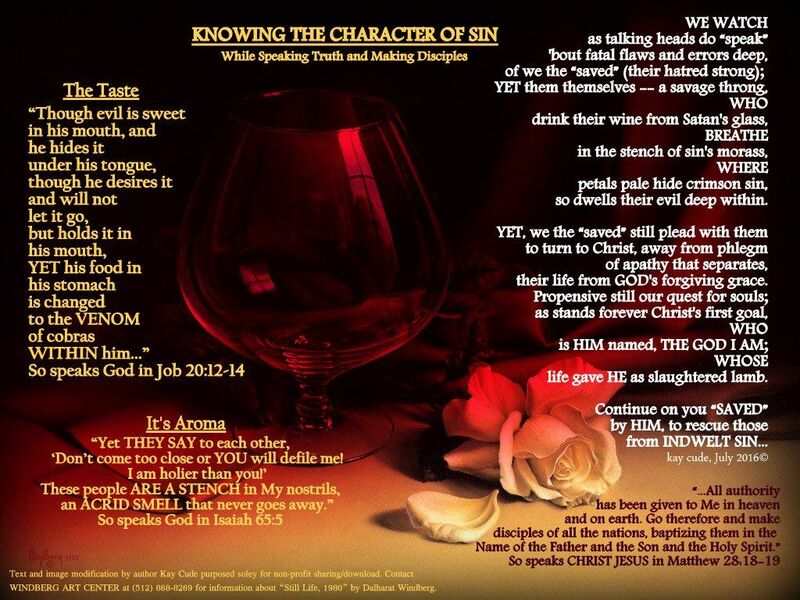 I was compelled to say something that spoke encouragement for “the saved to continue on,” even while recognizing and knowing the true character of sin, the taste and its aroma. Our efforts to reach the lost becomes harder each day; the news-media ridicules Christ’s redeemed, and with deceptive words, demands we not speak Gospel Truth. But we must “continue on.” I must keep fresh in my mind that previous centuries of the lost hated Christ, and that this present century of the lost will hate us (even as we the “saved” seek their rescue).